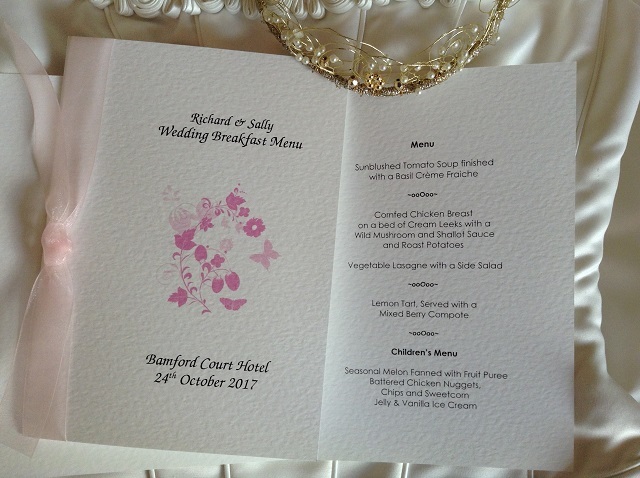 Pink Butterfly Large A5 Menu Booklets for Wedding Breakfast and other special occasion meals are printed on a in a thick heavy weight (270 gsm) hammered card and are available in white or ivory. We stock a huge range of different ribbons to match your theme. 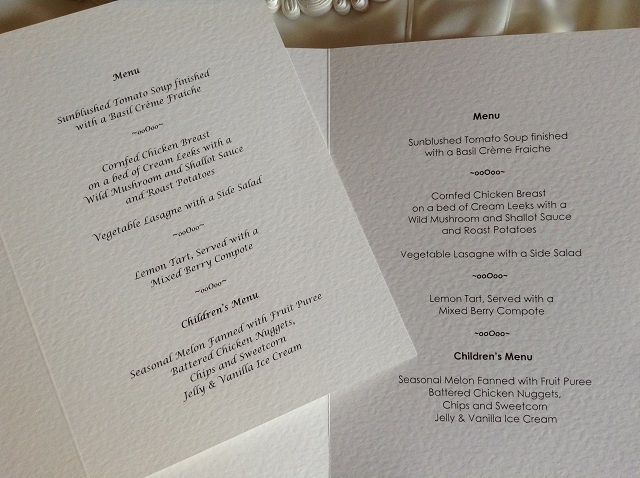 Price includes all personalised printing a font/colour of your choice. 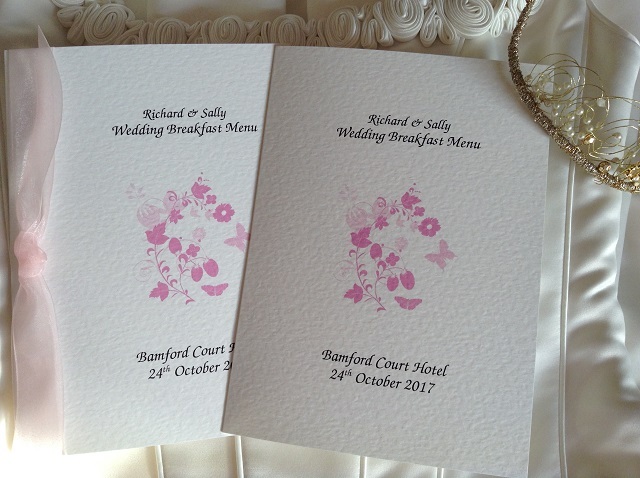 A well presented and beautifully printed wedding Menu is one of the best ways to make an impression on your guests and tempt them during your wonderful wedding breakfast. Whichever your choose, you can guarantee they will look fantastic on your table. We have short lead times, our printing is done in house. 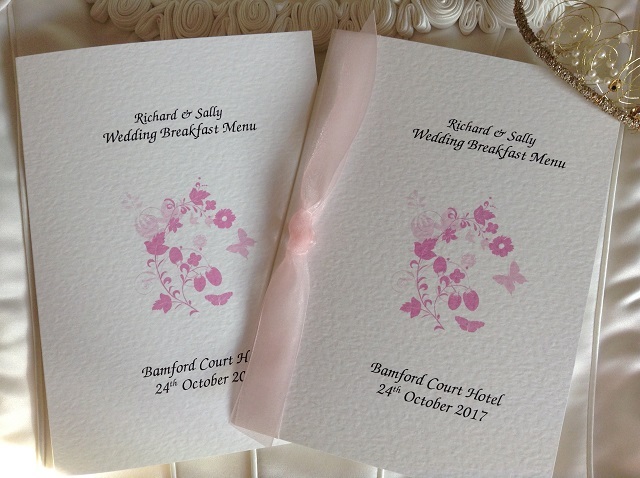 Wedding stationery can be ordered and supplied within a short timescale, usually 3-4 days for quick delivery in the UK.